My partner and I were alarmed by recent events of cyberbullying in the community, wanted to do something about it. We convinced our then agency to create an online platform and workshop series to inspire positive change through beautiful works of art. At an intimate workshop at our NY headquarters, we brought together 11 artists with 25 students from Claremont International School to collaborate on multimedia collages inspired by cyberbullying. The artists crafted their own pieces – resulting in a multimedia series that is personal in nature, yet collaborative in spirit. Finally, we curated an exhibition and auction in which all profits were donated to PACER’s National Bullying Prevention Center. 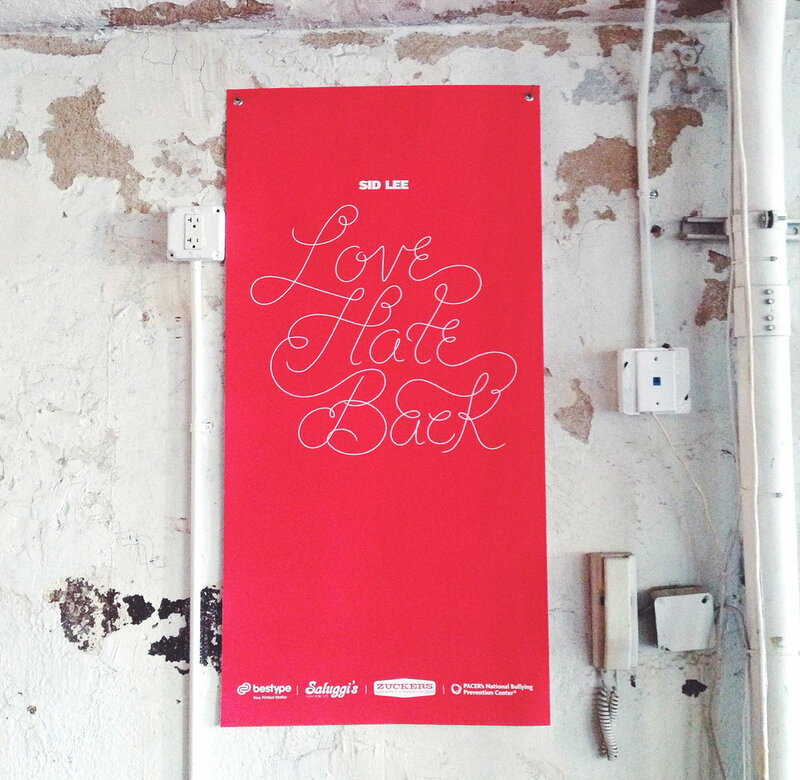 At an exclusive exhibition and auction in Chelsea, we gathered hundreds of attendees from all corners of the creative and artistic communities to showcase the powerful results of Love Hate Back. Through our partners at Paddle8, we auctioned off 14 unique pieces and raised thousands of dollars, donating every cent to charity.